JERSEY CITY, N.J. (CBS/AP) Northern New Jersey police have charged the mother and sister of a bedridden, disabled woman with neglect after she was found dead inside their dirty, roach-infested Jersey City home. 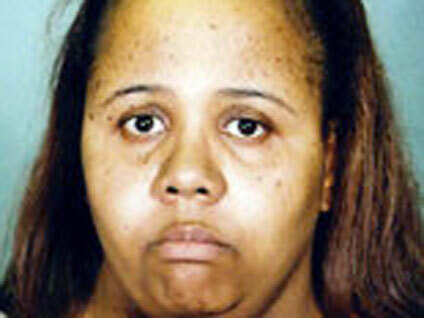 The 33-year-old victim was Wendy Garland according to The Jersey Journal, who had cerebral palsy and Down syndrome. She was found Thursday around 12:30 p.m., her eyes open in an unventilated room where the temperature had reached a scorching 100 degrees. Helene Hutchinson, the victim's 45-year-old sister and Florence Garland, the victim's 78-year-old mother, served as Garland's primary caregivers. Police said Hutchinson's home reeked of urine and was reportedly swarming with roaches, flying insects, and spoiled food, said local station WPIX. According to WPIX, neither woman called 911 for nearly two hours so they could move the victim's body to the front door - away from her vile living conditions - before paramedics arrived. According to the Jersey Journal, police said that when a family member asked Hutchinson Thursday afternoon if she called 911, Hutchinson said "No, because she is dead." "It's a shame that family members who are in charge of taking care of a family member who can't take care of herself can commit a crime like this," Police Director Sam Jefferson told the Jersey Journal. "It's unimaginable how much pain this woman must have gone through." Authorities took the mother and sister to the Hudson County Jail. Both women have been charged with neglect of an elderly or disabled person. It is unknown whether they have retained legal counsel.